Columbus is a lot of things, but old isn’t one of them. The city was founded just over 200 years ago as the capital of the new state of Ohio. As such, Columbus doesn’t always have the same “lived-in” feel as older cities out east, like Boston or Philadelphia or even Pittsburgh. We weren’t big or important enough early enough to have a lot of lingering old buildings. It didn’t help that we demolished much of what we had, such as a train station designed by legendary architect Daniel Burnham (the last remnants of which sit in McPherson Commons in the Arena District) to make way for the convention center. It’s too bad, really. There are no structures in Columbus that qualify as ancient, medieval, or what historians refer to as ‘hella old.’ We do have a handful of what you might call ‘reasonably old buildings,’ which according to my not very scientific definition means ‘at least 200 years old.’ And if you’re willing to call buildings from the first half of the 19th century ‘old,’ then there’s quite a lot to see. 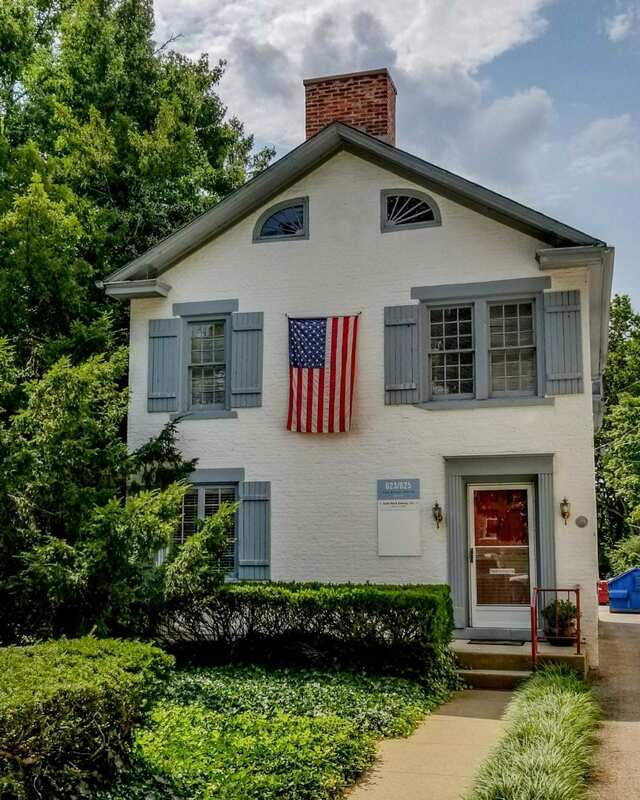 We’ll start with the obvious: one of the largest privately-funded historic districts in the United States, and a Columbus favorite, is German Village. Platted in 1814 on the tiny capital’s south side, the land became the epicenter for the region’s incoming flux of German immigrants by the 1830’s and remained that way for a century. The newcomers provided pivotal labor for the Ohio Statehouse, which began construction in 1839. 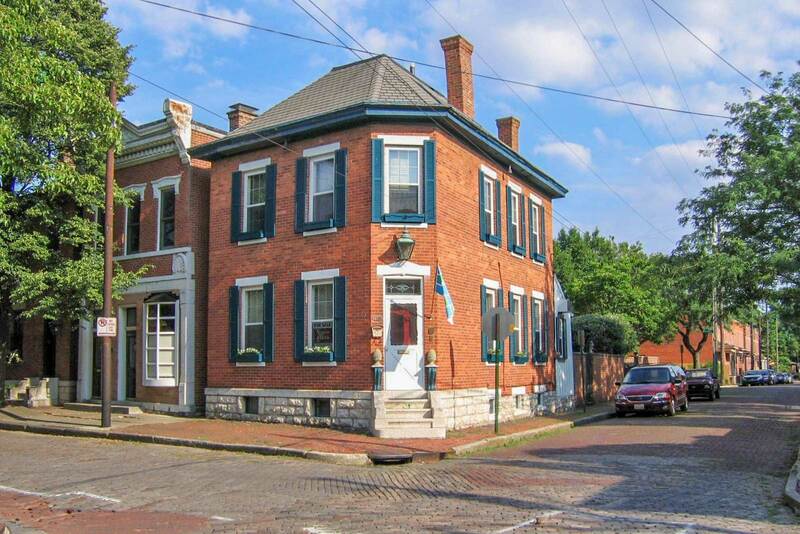 Most buildings you see in German Village today were built between 1850-1910. Walk along High Street or S. Riverview St. in Dublin and you’ll find buildings that merely look old next to buildings that actually are old, including several listed on the National Register of Historic Places. Of particular note are the Old Stone Tavern at 83 S. Riverview St. (now a private residence) built in 1824 and the former Hutchinson Tavern, a stagecoach inn on the southwest corner of High St. and St. Rt. 161. 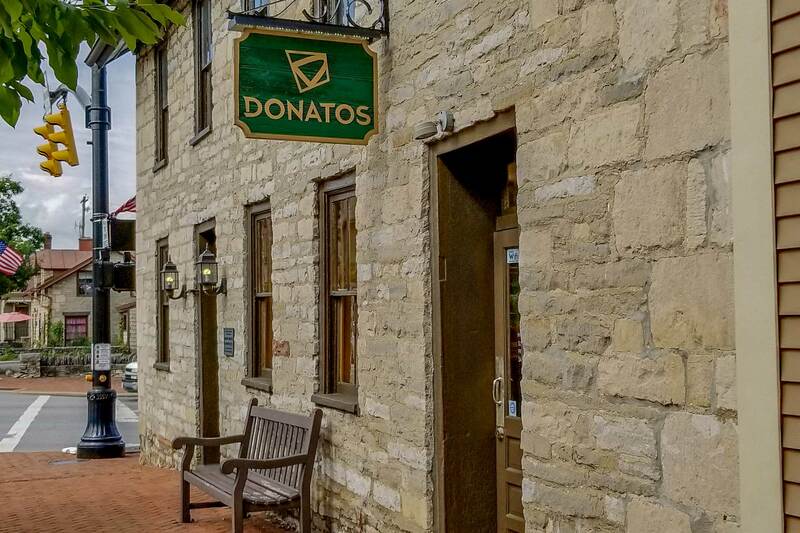 Built in 1832, the building is now a Donatos Pizza. Down the road a stretch at 4264 Dublin Rd. is another stone house built in 1816. This is a private residence. One of the few remaining local pioneer homes still located in its original spot, the Orange Johnson House was originally a simple, six-room set up before the Johnsons built the larger Federal-style addition that fronts High St. in 1819. 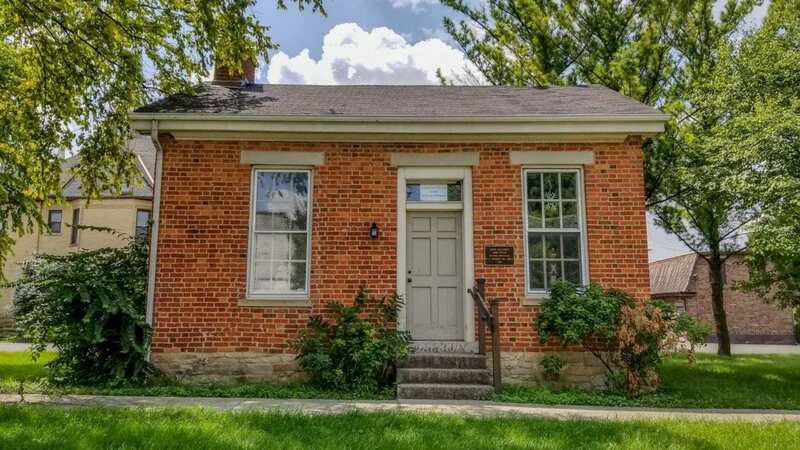 Today, the Worthington Historical Society operates a museum out of the house that demonstrates life in the early 19th century. Worthington, predating Columbus by nine years, has the largest concentration of buildings on the National Register of Historic Places in Central Ohio. Among them is the John Snow House at 41 W. New England Ave., built in 1815. While not home to the King of the North, Snow was a loyal figure at the Masonic Temple built in 1820 on 634 N. High St. It remains the oldest Masonic Temple west of the Alleghenies in continuous use. 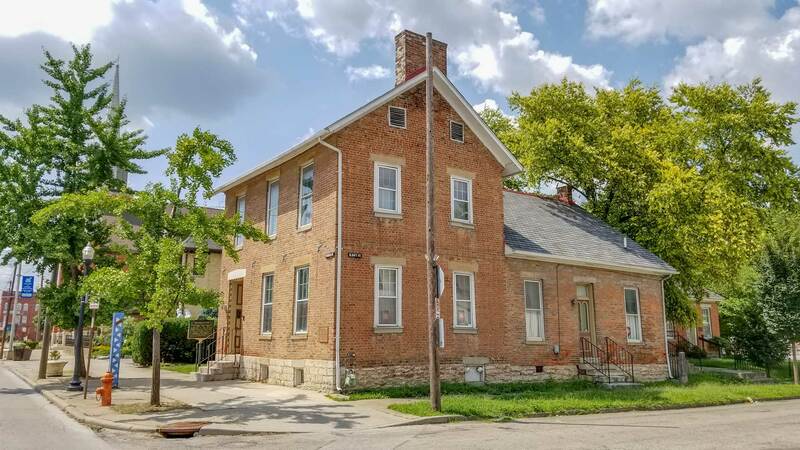 Just up the street from the temple is the Kilbourne Commercial Building at 679-681 N. High St., once home to Worthington founder James Kilbourne’s survey office, retail store, newspaper offices, and hotel. 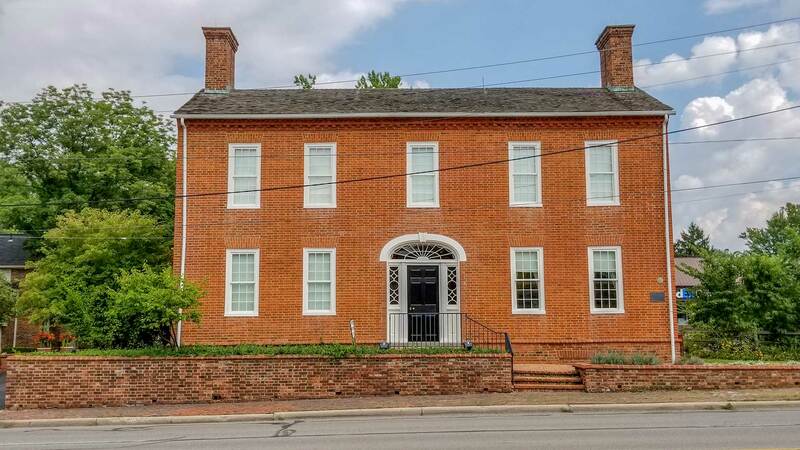 Built in 1808, it’s considered the oldest commercial building in continuous use in Ohio. The Ripley House in Worthington has a bit of a sordid past. In 1825, Brigadier General Roswell Ripley of the Confederacy was born in the house. Ripley was among those directing the bombardment of Fort Sumter at the start of the Civil War. A plaque naming the building as his birthplace sat in front of the building until last year, when the violent events in Charlottesville forced municipalities across the country to reconsider how they remember those who fought in the Confederacy. 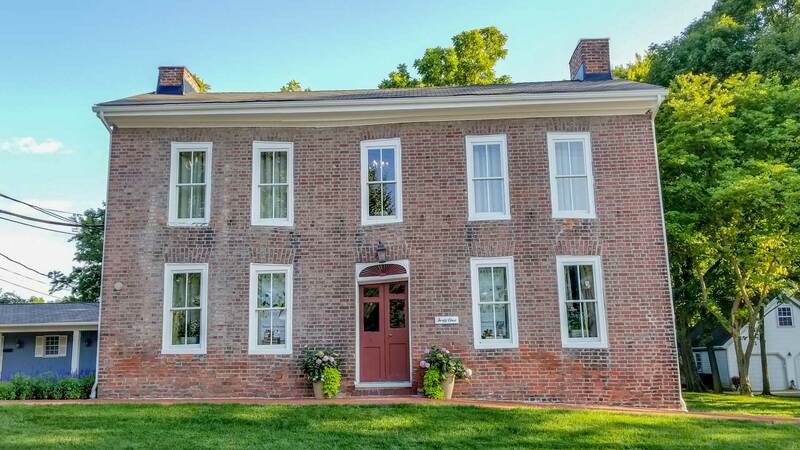 General William Henry Harrison, or “Old Tippecanoe” to his friends, used the Jacob Overdier House as his headquarters during the War of 1812. Harrison, of course, is famous for being President of the United States for 31 days and then dying, having caught pneumonia three weeks into his presidency. He has the dubious honor of owning two American history superlatives: serving the shortest presidential tenure and giving the longest inaugural address. At two hours long, his inaugural address accounted for approximately .27% of his entire presidency. Well done, Tippecanoe. The Lucas Sullivant Land Office, built in 1822, is directly behind the house. It originally sat on Gay St. but was moved here in the 1980’s to avoid demolition. It was from this building Franklinton founder Lucas Sullivant sold land on both sides of the river. 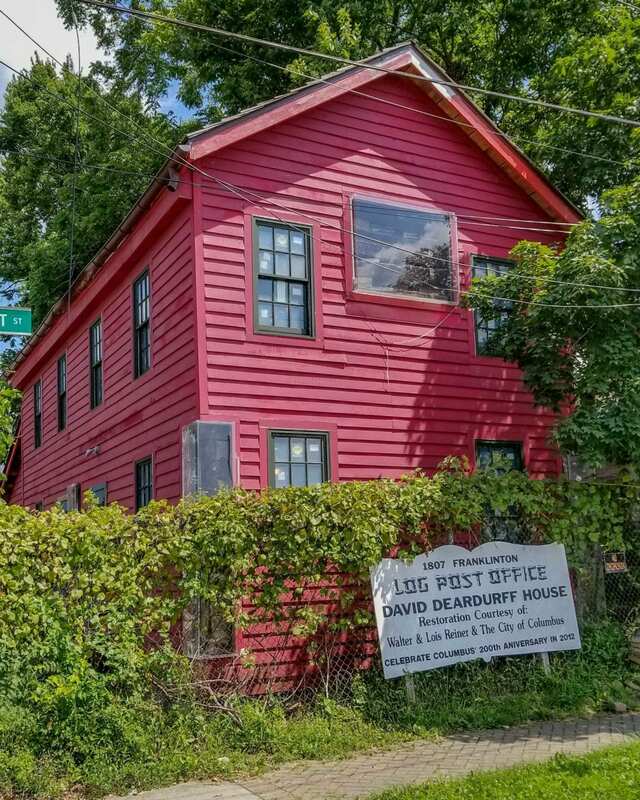 The oldest building in Columbus still on its original foundations is the David Deardurff House, or the old Franklinton post office. Deardurff ran Franklinton’s post office out of a side room until 1834, when Columbus built a larger one. Various families lived in the log cabin all the way into the 1950’s. The building was in pretty rough shape into this millennium, but the current owners have at least given the building a nice red exterior. A sign in the front from 2012 says it’s being renovated, but the original log blanks are clearly visible in the front window. No word on future plans. The oldest known continually-occupied house in Columbus is found, of all places, among rowdy student rentals just north of campus. 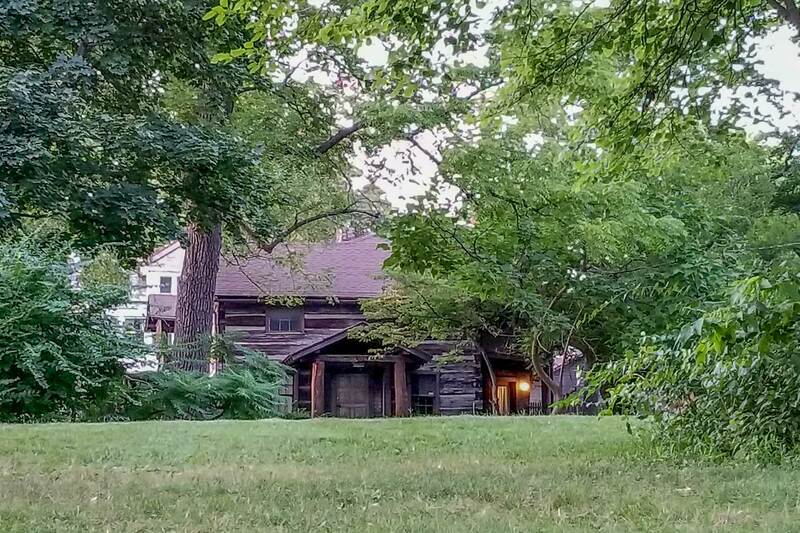 Originally built near present-day Dodridge St., the Beers Family Log Cabin is privately owned and has belonged to only two families during its entire existence. There are plenty of slightly newer buildings around town more accessible to the public. The Kelton House, built in 1852, runs a museum and interpretive center on the underground railroad. The Kappa Sigma fraternity house on 15th and Indianola was built the same year. The Caroline Brown house, built around 1854 at 1200 E. Livingston Ave., belonged to an emancipated slave. The Cultural Arts Center, once an armory during the Civil War, was built in 1861 and continued to function as an armory until the 1970’s. Of course, every single mound from the Adena and Hopewell cultures outdates any structures here by hundreds, if not thousands of years. 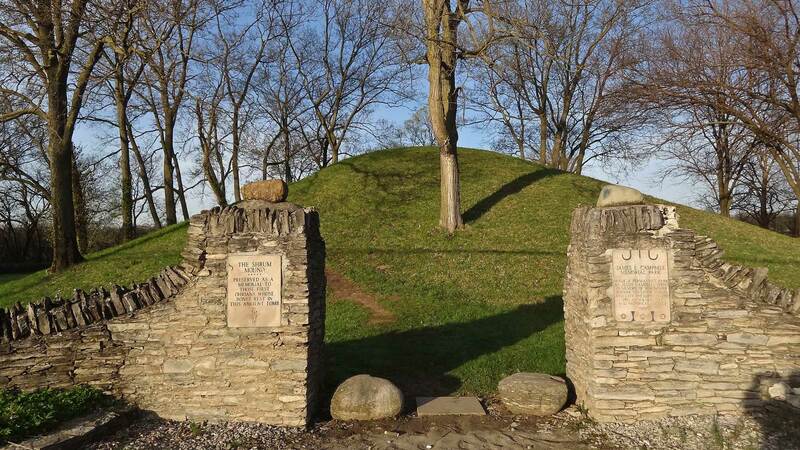 There are mounds scattered across the region, including Shrum Mound in Marble Cliff, Jeffers Mound in Worthington, and Adena mounds in Highbanks Metro Park. Archaeologists have found evidence of human activity in places like Jeffers Mound, which was built sometime between 100 BC and 400 AD, dating back to 8,000 BC. I hear you—mounds are a little harder to appreciate than brick and mortar structures. 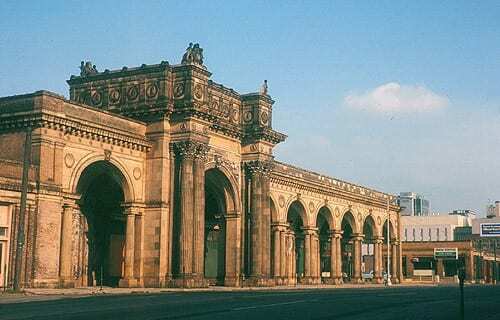 Have you considered, though, that the first Ohioans perhaps did build such structures and later demolished them to put up a convention center? Could be.